Daisy strikes a pose, originally uploaded by Erin *~*~*. 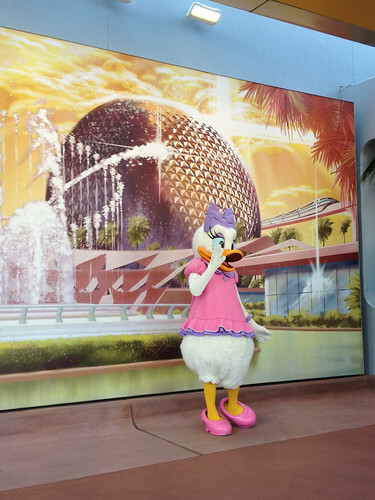 I like the mural as Daisy Duck’s backdrop. This is located at the front plaza of EPCOT, right near the jacaranda trees. Previous PostEPCOT Flower and Garden Festival – I’m here!Next PostBecause what the world really needs is Yet Another Monorail Shot!